It’s beginning to feel as if it is actually spring in the TV realm. Yesterday, the CW announced it was renewing 8—count ‘em—shows for 2015 and 2016 and today CBS is apparently following suit. This morning, the network announced that NCIS: New Orleans, Madam Secretary and Scorpion will all return next TV season. All three shows are being renewed for a second season. It’s easy to see why. 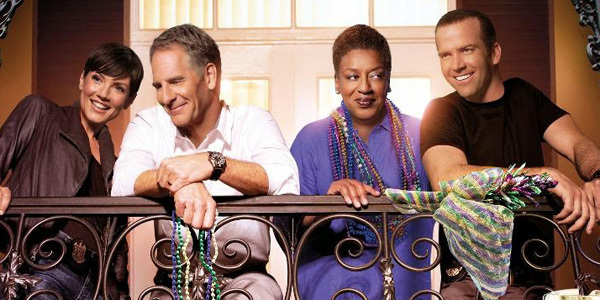 CBS’ splashy announcement notes that NCIS: New Orleans is averaging a whopping 18.1 million total viewers (this has to be in live+7 ratings since the winter finale only did a little over 14 million total viewers). People just can’t get enough of the NCIS franchise. 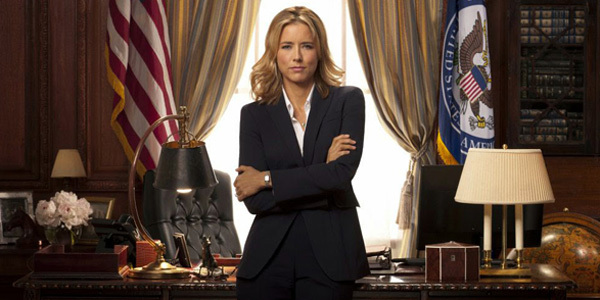 On Sunday nights the Tea Leoni–starrer Madam Secretary has also been averaging high numbers, earning roughly 14.9 million total viewers an episode (also must be live+ numbers). Same day ratings indicate the most recent episode did 11.7 million total viewers and a 1.5 rating in the 18-49 demographic. While other freshman drama Scorpion is only averaging 14.5 million total viewers (live+), that show has the added bonus of being more viable among viewers in the advertising demographic—it’s most recent episode did a 2.5 rating in the 18-49 demographic the night it aired. According to the network, the show is also the most-streamed series CBS offers. Among the three new shows, Madam Secretary is clearly having the most trouble pulling in advertising demographic viewers. However, the show has a tough Sunday night slot over at CBS. Additionally, it airs in tandem with the also older-skewing The Good Wife, which doesn’t make nabbing eyeballs an easy task. Despite that, it’s still performing admirably, so it doesn’t shock me that CBS is going ahead and giving the show a second season, along with two of its other freshman dramas. So, what does this mean for CBS’ other fall premiere, Stalker, which received a 22-episode pick-up at the same time as the other three shows? Possibly nothing. The network could be waiting for spring when most renewal and cancellation notices are made to make a decision on the show, but it’s certainly not a clear winner like most of CBS’ other fall dramas. The show’s last episode did a 1.4 rating and more than 7 million total viewers. Other networks might be sitting pretty with those numbers—here’s looking at you, Fox—but for CBS that’s not really good enough to compete with the other dramas. On the bright side, the show is produced and distributed by Warner Bros Television, so I guess we’ll have to wait and see how the ratings go until the end of the year. In the meantime, check out our full 2015 midseason premiere schedule.